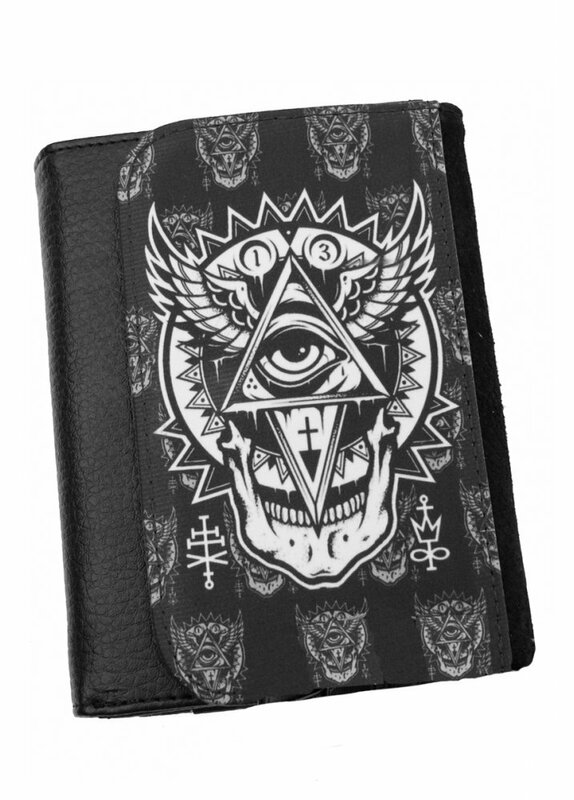 The All Seeing Eye Wallet by Darkside Clothing has a whole lot going on in the print! An lluminati style eye is framed by wings and occult symbols, and the print is repeated as a pattern. This cool wallet will keep your cash safe from any potential muggers - the eye sees all!